Check out the most popular stag and hen destinations in Europe! Tallinn was born at a crossroads of medieval trade and is now more than ever a treasure of the Baltic. 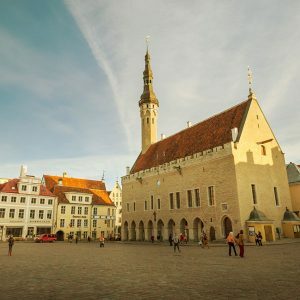 Estonia's capital combines ease of travel with cultural richness, resulting in a destination to delight travellers of all tastes. Riga is a wonderful city that amazes its visitors with old traditions, rich culture, stunning architecture, and nice people. A huge selection of activities, various pubs and stunning nightlife. 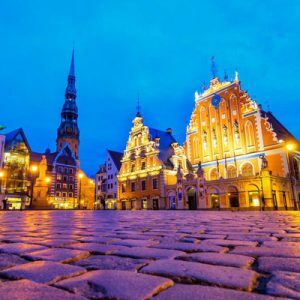 Want a full-on, all-out weekend, Riga is the right place for you. Read our Organic reviews by our real customers. "Fantastic company. Organised a limo pick up from the airport for my friends stag do. Alijona was very professional and always communicative. She sent her number and that of the guide who met us at the airport gates. Both friendly and helpful with great English. Would highly recommend!" "This is where you will get the best service. The communication was excellent from start and the preplanning was easy. Our guide Aljona was more than a guide, she was a member of our little group and she did everything in her power to help us along. We enjoyed our stay in Riga and the wonderful company of our guide. If we come back to Riga, this is the company we would call. " "Brilliant Show 5+!! Went to Riga with group of friends in April for my bro birthday. Found your company on arrival and decided to make surprise for him. Everything was organized very fast and in same day we could enjoy the show. We did not expect the show well be so good and really impressing. Price corresponds to quality and we are glad, that took the show from your stag company."